The Royal Opera House has over 1,000 employees and engages numerous casual workers and freelancers each year. We are passionate about inspiring people to choose careers in the arts sector, particularly in the back-stage areas that they may not have previously considered. Three out of four of our employees work in a variety of technical, craft, administration and customer service roles - technical stage, learning and participation, fundraising, costume and scenery production, marketing, press, box office, front of house, props, retail, human resources, digital and finance to name but a few. There are various routes into a career working in non-performance roles in theatre. Some jobs require qualifications; some entail training; others can be learned on the job. The Royal Opera House is a partner in the annual TheatreCraft careers event where you can get advice from industry experts on training and employment opportunities. The Conference of Drama Schools has published a guide to careers backstage, which you can download. It contains an overall view of career structures within the different specialties and has details of training courses. Drama UK provides information about training courses and funding. Creative and Cultural Skills can help you find out about the huge variety of careers in the industry, career opportunities, work experience and training. The National Youth Theatre offer a number of backstage courses in Costume, Lighting and Sound, Scenic Construction or Stage Management. 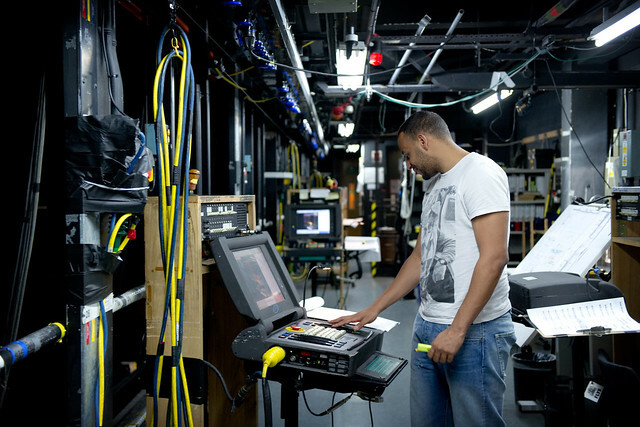 Upon completing the course you'll get the chance to gain experience on professional scale productions in the West End as part of their technical membership scheme. The Royal Opera House is a proud supporter of 'Technicians Make it Happen' a campaign that aims to inspire young people to consider a career as a technician. Technicians play a crucial role in most types of business and the UK needs thousands more technicians every year to meet the technological challenges of the coming decades. Taking the next step in your career can often seem like a daunting challenge, whether you are looking to take on a management or leadership role for the first time or want to change the course of your career completely, you should aim to cultivate skills and relationships that will support you in the future. The Clore Leadership programme gives people the opportunity to develop their leadership skills through masterclasses, placements and peer support. The Step Change Programme offers a similar programme to the Clore, particularly for people looking for a change of direction. The programme provides coaching, mentoring, masterclasses and experience-based learning. Shape Arts offer a number of career development initiatives to support disabled people in the arts. Stonewall offers a leadership programme for lesbian, gay, bisexual and transgender professionals to explore what it means to be an authentic leader, underpinned by the notion that people perform better when they can be themselves. If you are looking for a job in Catering or Facilities we currently work with two external contractors Company of Cooks and Kier to provide these services. You should contact them directly about opportunities.